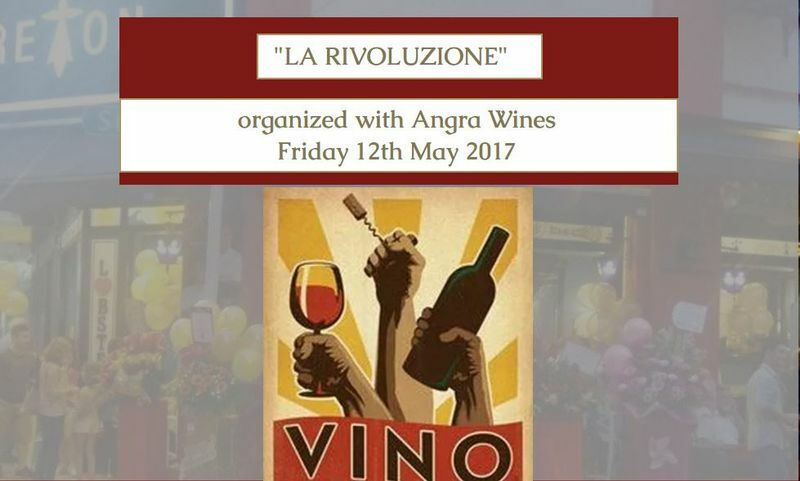 A revolutionary feast of 10 Italian wines presented by Angra Wines for tasting, to be paired with the authentic traditional French cuisine of "Breton". Start with a tasting (join any time between 06:30pm and 08:00pm, ending at 08:30pm) of 10 Italian wines presented by Angra Wines. Each Tasting ticket includes the wine tasting and a Tasting Platter. Place your wine orders on the spot to enjoy the special retail deals offered by Angra wines. Have them home delivered (t&c's apply) and buy on the spot: Corkage fee waived during the tasting & for those who stay for the Rivoluzione dinner! Stay on and indulge, with a Special Rivoluzione Dinner prepared by Chef Xavier, enjoy a 2 or 3-course dinner while pouring any of the great bottles you have purchased at the tasting!